Home » Beer Events » Resilience IPA release at Dogfish Head Craft Brewery! 12/21/2018 -- Resilience IPA release at Dogfish Head Craft Brewery! Come by our Milton Tasting Room & Kitchen on Dec. 21 at 11 a.m. for the release of Resilience IPA! 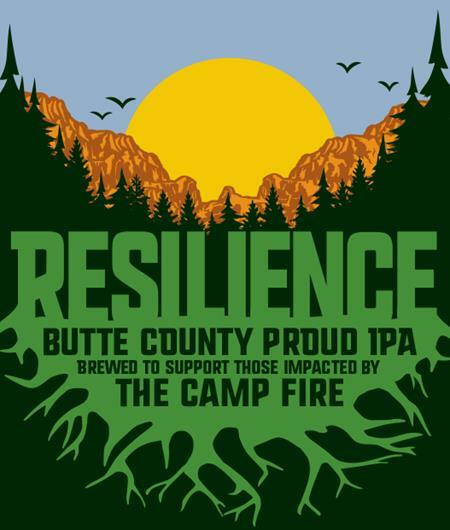 On Giving Tuesday (Nov. 27), along with more than 1,000 other breweries nationwide, we brewed Resilience IPA to help support the Butte County community and those impacted by the Camp Fire. On Friday, Dec. 21 at 11 a.m., we're tapping this benevolence-filled brew at both our Milton Tasting Room & Kitchen and our Rehoboth brewpub … and 100% of its sales will be donated to the Sierra Nevada Camp Fire Relief Fund. So, come on out and grab a glass (or two), and help us – and thousands of other beer-lovers across the country – spread the benevolence!